In the 450 Class the thrills were provided by Josh Hansen and James Stewart in the second race. Hansen held the advantage almost the entire race, but Stewart absolutely obliterated the whoops to win comfortably. The other Stewart, Malcolm, who seemed to set the fastest lap every time he raced, also advanced, which sets up a Stewart vs. Stewart matchup in the semifinals. The farther we get into Red Bull Straight Rhythm the hotter it gets, and we’re not talking about the 100+ degree temperatures here in Southern California. Marvin Musquin eliminated Justin Bogle to advance to the finals, where he’ll go up against teammate Justin Hill. Jessy Nelson and Justin Bogle will battle for third overall. Dean Wilson won the first race over Justin Brayton but Brayton came back to win the second in an extremely close race. In fact, they were so close timing initially had them tied! The margin of victory turned out to me two hundredths of a second. Wilson looked good for the tie-breaker, but Brayton put on a big charge at the end to come from behind and advance to the finals to face James Stewart. Malcolm Stewart will face Dean Wilson for third. After the close action of the semis the finals themselves were somewhat anticlimactic, although Justin Bogle and Jessy Nelson had a tight race as they battled for third overall, with the position going to Nelson. But in the race for the championship it was all Marvin Musquin over teammate Justin Hill. Opting not to take any big risks, the Frenchman was fast, smooth and mistake-free all day, a combination that resulted in a perfect scorecard in every single round. The 250 podium was all orange too, which had to have the bosses over at KTM smiling. 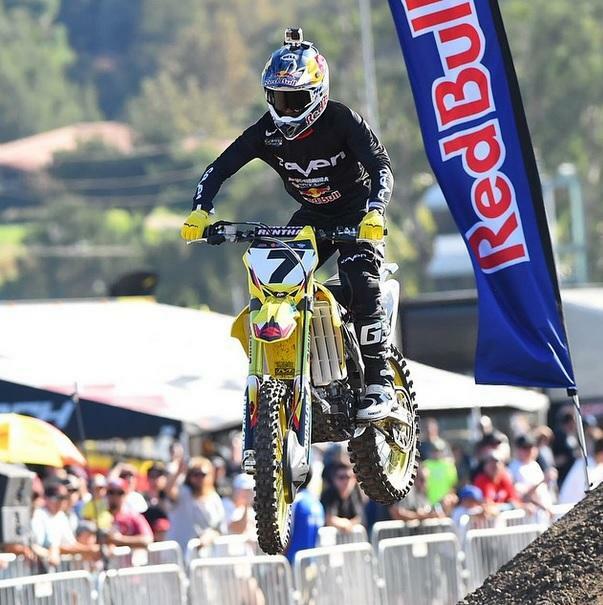 In the Open Class Malcolm Stewart handled Dean Wilson for third overall, while James Stewart comfortably won over Justin Brayton to take the win. Like Musquin, Stewart didn’t lose a single race all day.